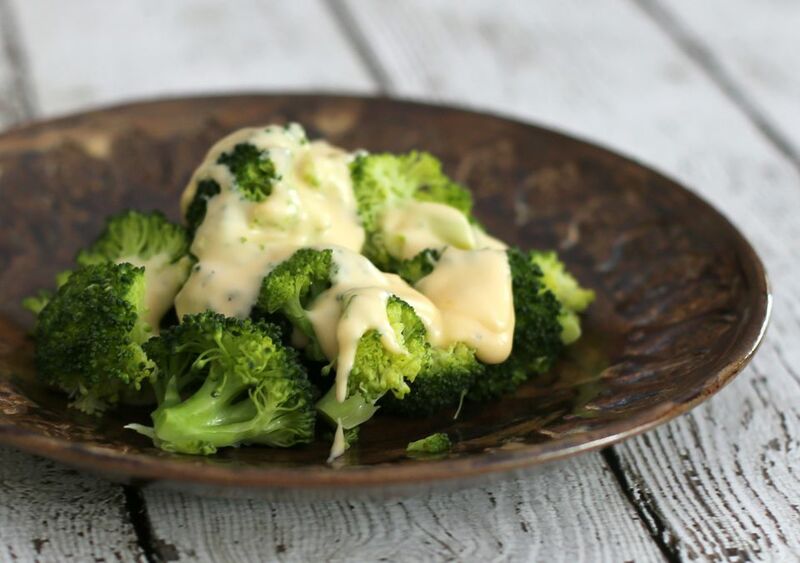 This old fashioned cheese sauce is a simple preparation, and it is an excellent sauce for broccoli or asparagus. Or use it with pasta, rice, or cauliflower. The recipe makes about 1 cup and can be doubled. Add flour to the sauce to thicken it more (see the variations below the recipe). In a heavy saucepan, whisk together the cream and mustard. Heat over medium heat until steaming hot; do not boil. Stir in cheese, heating and stirring until cheese starts to melt. Remove from heat; stir until all cheese has melted and the sauce is smooth. Add pepper and paprika, to taste. The sauce is not as thick as a roux-thickened sauce, but it makes a good topping for vegetables. It will thicken more as it cools slightly. See below for thicker sauce. Thick Cheese Sauce: Heat 1 tablespoon of butter in the saucepan over medium heat. Add 1 tablespoon of flour; stir to blend and cook, stirring, for 1 minute. Add 1 cup of milk or light cream and dry mustard. Cook, stirring, until thickened. Stir in the cheese and heat until melted.